I wouldn't necessarily call a cruise the best way to vacation, but after three uninterrupted months of Minnesota winter and a taxing day-to-day job grind, a cruise worked quite nicely. No, it's not exactly the way I like to travel--off the beaten path, eating street food and finding the non-touristy parts of touristy cities. You do get a bit funnelled in to a daily routine and programmed, pre-determined activities and specific, mass appeal cultural scenery. The drinks are a bit spendy, and far from stiff. The entertainment is, well...who am I to judge. But a cruise is nothing if not relaxing. If you don't mind mingling with 50-somethings (and above--sometimes way way above), aren't too snobby to find enjoyment in an off-key, bad haircutted lounge singer, and can fend for yourself for a few hours in a dirty Caribbean port town, you might enjoy one. And you might be pleasantly surprised in the number of obscure beers you might get to try. Counting the Minneapolis and Detroit airports, and including the four beers I nabbed during our one day in Fort Lauderdale, I chugged an astounding 22 new beers on this 8.5 day trek. Of course, once we left the continental United States, rarely were any better than average, but the cultural context in which the tastings took place evened up the score a bit. So, sprinkled between the poolside pina coladas and the five-course dinner Italian wines were these islandy brews. I'll try my best to elaborate on tasting notes (many of which are still scribbled on food- and beer-stained napkins) with some general comments about that day's cruising events. It must be noted that my trusty beer rating pen exploded on the plane prior to embarkment, and I was forced to use the crappy Costa Cruises pen for my reviews. Thus, many of my notes are brief, and frankly, after you've had a few Caribbean beers, there's not much more that can be said. Day 1: Embarkment from Fort Lauderdale. The beer: Franziskaner Hefe-Weissbier. We boarded the ship at about 12:30, but couldn't check into our rooms until later that afternoon. What better to do, at that point, then check out the bar? Rhetorical. This would be my first chance to see the beer offerings on the ship. Not surprisingly, they were pretty limited. Mostly Buds and Coors, with a token beer from a few European countries that figured to be represented among the cruise's guests. This was a Costa cruise, an Italian ship that attracts many foreign-language speaking folk because of its multi-lingual entertainment and relaxed smoking policy. Maybe I was the only one who noted the latter, but to a no-smoking-anywhere-in-my-state Minnesotan, it was evident. I'd had the Italian offering (Peroni--I was hoping for more), wasn't in the mood for something I knew I'd loathe (Beck's and Carlsberg), and didn't want to dive right into the unknown (Kotayk--we'll get to that later), so I took a stab at the weissbier. Without question, this was the best beer I had on the ship all week. I don't love wheat beers, and I have a hard time imagining one that would clearly outshine the rest, but there was no doubting the validity of the Franziskaner. It isn't weissbier weather in Minnesota, but when it's 80 degrees and sunny a wheat beer will do nicely. Let's put it this way: I'd choose a hefe-weissen over anything I've ever been offered in a slowpitch softball parking lot or on a lazy pontoon boat ride. The drinkability is usually high. As in, way higher than the self-proclaimed drinkable Budweiser. 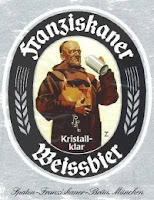 Franziskaner is no different, and I particularly enjoy wheat beers that offer more spice than fruit, the anti-Blue Moon, if you will. This beer had good spice on the nose and lips and snaked down without skunky incident. (If my verbage has broadened, it may be due to the Hopslam I just guzzled.) Did this beer make me delve deep into my beer flavor vocabulary? Not really. Did it convert me to a full-time wheat beer guy? Definitely not. Was it worth the $5...plus 15% gratuity...plus 20% port tax? Because it meant I would be on a cruise for the next seven days, yes. It did, and it was. A solid 3.5 star beer. One of the best job there is are cruise ship jobs as it is a great way to earn money and travel the world for free on the same time. Although working on a cruise ship could be harder than on shore, it is still a great way to be on vacation... once you are off duty, you are on vacation.